We had a very successful July meeting when Helen Warrington gave us a fascinating talk on the origins of plants, taking us from post ice age Britain when there were very few, (but amazingly did include Rhododendron ponticum which subsequently died out but was then reintroduced in the 17th Century!) through to modern times with a virtually unlimited number. On our journey through the ages we heard how important invaders and travellers were in introducing or bringing back new species which are now considered ‘native’. For example, the Romans brought their own stinging nettle as the indigenous one was not ‘stingy’ enough – used for flagellation!, plus many other plants for culinary and medicinal purposes such as fennel, garlic, apples (we only had crab apples) and walnut. Plant seeds were known to have been brought back throughout history from the Crusades onwards, and seeds found in ballast from ships also found their way in eg Anemone coronaria. Another little known gem was that the Welsh discovered North America in 1170, well before Columbus. 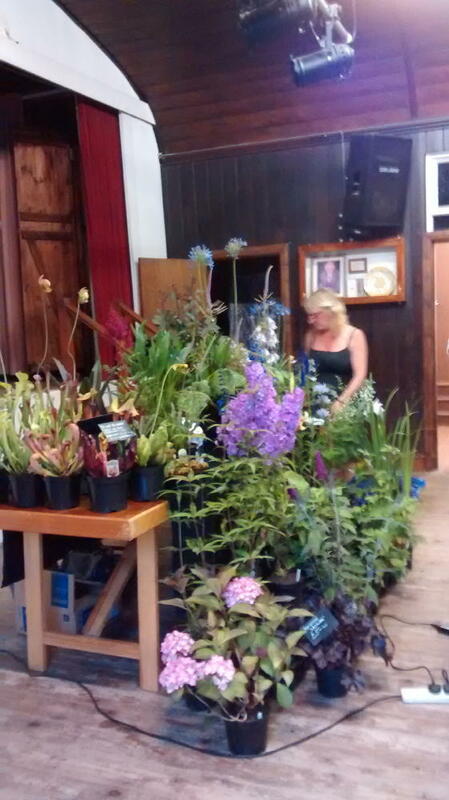 All in all a thoroughly informative and enjoyable evening and rounded off with the opportunity to buy some of Helen’s lovely plants. 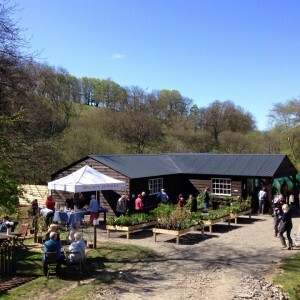 Do visit Helen’s nursery, Ty Cwm, near Lampeter or take a look at her website (click here). The August meeting is our summer social evening for members only on Wednesday 17th at 7.30pm. This year Anne and Philip Large have kindly invited us to Glan-yr-afon for the evening. Please bring a plate of ‘nibbles’, plants for the plant stall and, most importantly, your ‘Growing Challenge’ pot. Remember the challenge is not a competition so even if your pot was less successful than you had hoped bring it anyway as much can often be learnt from things that don’t work as from things that do! 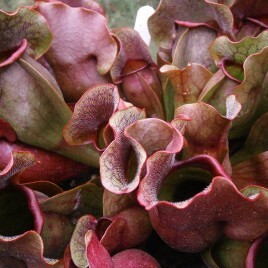 If your pot is too big or heavy to bring then do please try and print some photos of it and bring them along instead. This subject is fascinating. Imagine rhododendron ponticum complete with all its pests not being the problem it is now, it becomes extinct complete with pests, then gets reintroduced without the pests it once had, now it is a problem. The sycamore is not a native, but almost was, it just was not quick enough to cross what is now the English Channel, but almost made it. Another aspect is pre- ice age British flora. At one time we had native abelias, snowdrops, cyclamen, in fact most of our shrubs were more like those of China’s. Many were pushed back as far as India once the ice age pattern started, snowdrops as far as Turkey. This is why many plants from far away do so well here, because perhaps they once were here, thousands or even millions of years ago. Now that is food for thought. It is indeed a fascinating subject Rob, thank you for your comment.